Rash Guards + Hats = Summer Ready! In Southern California we enjoy Spring as another part of Summer. The weather is still warm, the sun is still shining, and we are outside! We love to enjoy the outdoors as much as we can. we play late in to the evening, and we swim and play in the sprinklers to cool down. Our children are very fair. They burn very easily, they get it from their momma! So we try to make sure they are well protected from the sun. This is our first big weekend of swimming and we are ready with hats and rash guards. Why Rash Guards you might say? Sunblock is fine! NOT. Remember when we were kids and our moms tried to convince us to wear t-shirts in the pool? It wasn’t because they were wanting us to be modest, they wanted us covered. Sunblock fades, rinses off, and only protects us so well. Rash Guards have a built in UPF and UV protection — many up to 70% more than sunblock alone! They still allow fo the kids to feel light and comfortable and to experience the water fully. it just gives us a little better piece of mind in the protection department. It doesn’t matter if your kids aren’t surfers and you are just playing in the sprinklers at home — protection from the sun MATTERS. The Boy’s Store has some great rash guards that are not only fun but stylish as well. They even offer some with matching hats!! WOOT WOOT! Check them out. Boys’ Palm Trees Rash Guard by Wes and Willy: This orange, white, and blue palm tree themed rash guard is short sleeved and offers 50 UV protection. Boys Locals Only Rash Guard by Wes and Willy: This short sleeved rash guard features a really cool sugar skull with a green, black, and white background. Boys’ Ahoy Rashguard by Flap Happy: This fun blue and white long sleeved rash guard feature a fun lobster screen print and matches really well with the Flap Happy Nylon Spandex Flap Hat. 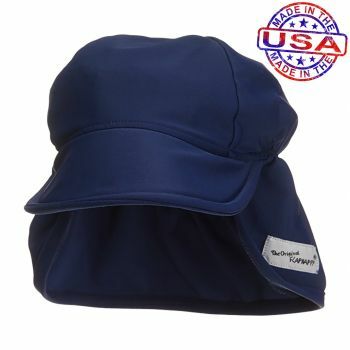 This entry was posted in boys clothing and tagged boys clothing, Flap Happy, Hats, rash guards, sun cover, sun hats, sun protection, swim shirts, swimming, the boys store, UPF, UV, Wes and Willy on April 10, 2019 by Lacy. Swimming season is in full swim. My littlest man is in need of a new suit and I fell in love with the new items that were recently posted from Flap Happy. I was so excited about how adorable they are that I knew I had to share them with all of you. 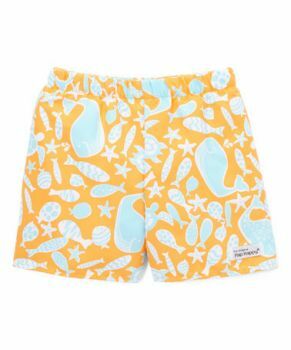 So be sure to check out the Flap Happy styles for summer if you are in need of some new items for your little man! 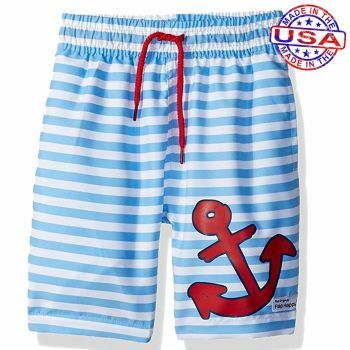 Little Boy’s Sailor Stripe Shorts by Flap Happy: These blue and white stripe swim shorts are perfect for the summer weather. Now your little one can look just like a sailor ready to sail the seven seas, or just his kiddie pool. Available in sizes 2Y-7. 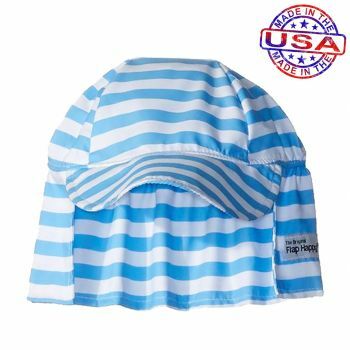 Baby Boys Striped Flap Hat by Flap Happy: This sweet blue and white striped flap hat protects baby boy from the harsh glare and rays of the sun. Now you can rest easy knowing your son is protected from damaging sun while he enjoys his summer fun! Little Boys Surf Tangerine Tide Trunks by Flap Happy: These tangerine colored trunks are sure to impress with their blue sea-life images. They are sure to swim away with your hearts all summer long. Available in sizes 6 mos-4. Little Boys Nylon Spandex Flap Hat by Flap Happy: This blue nylon spandex flap hat will protect your little one from harsh summer rays while he plays and plays and plays. Available in sizes 6 mos-3y. now go enjoy that fabulous summer sun! This entry was posted in boys clothing and tagged baby boy, baby boy swim, boys clothes, boys hats, boys swim, boys swimming gear, boys swimwear, Flap Happy, sun hats, swim hats, swim suit, swim trunks, the boys store, water hats on June 10, 2018 by Lacy.